With a monstrous annual snowfall of 60 feet and 17,000 acres of exceptional terrain, Monashee Powder Snowcats offers consistent, incredible powder skiing conditions. Our guests enjoy untouched winter wonderland with no line-ups; just 24 people enjoying the best that guided backcountry skiing has to offer. A visit to Monashee Powder usually entails skiing, eating, socializing and relaxing. Shred our scenic open bowls and natural glades. Dine on our fabulous gourmet meals prepared by our excellent chef. Enjoy some down time after skiing with a massage or a dip in the hot tub. Revel in the spectacular scenery of the mountain view from the lodge. Join us for the experience of a lifetime. Monashee Powder Snowcats is located on the leading edge of the Monashee Mountain range, about 30 kms southwest of Revelstoke and 30 kms south of Hwy 1, an area unsurpassed for its quantity and quality of snow. Our average annual snowfall of 60 feet of dry, champagne powder guarantees you fresh tracks every run on our five alpine ridges, spectacular natural glades and fantastic open tree skiing. 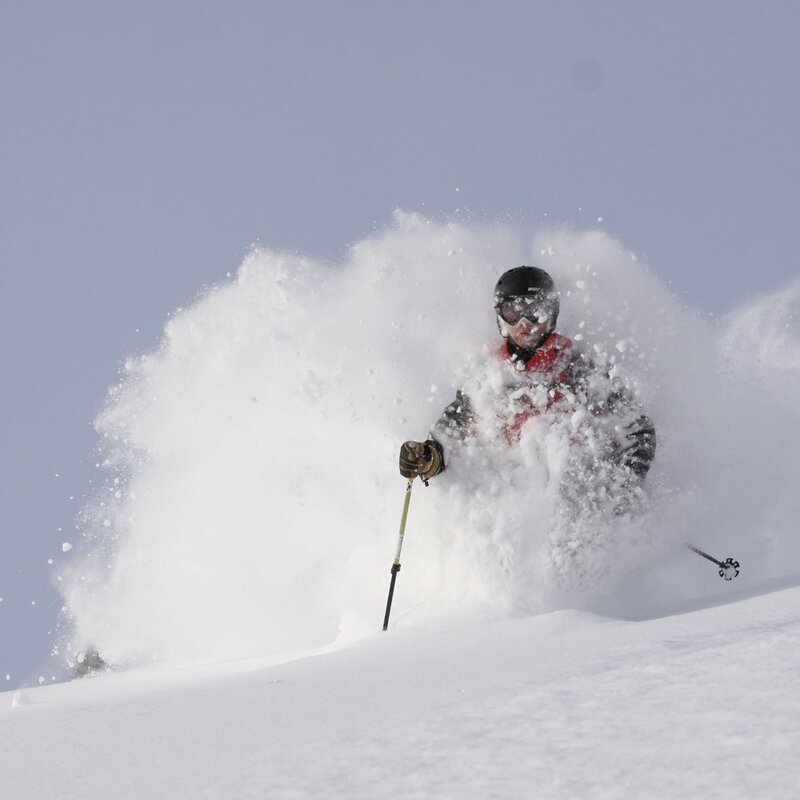 The 17,000 acres of Monashee Powder's terrain has been described as heaven on earth. Tsuius Lodge is centrally located in our terrain, at 1600 meters elevation, which allows for a 10 to 15 minute cat ride to your first tracks of the day! Compared to a town-based ski holiday, this means that you get more time on the mountain, more time relaxing and more laughs with your new friends! Sign up with your email address to receive news, updates and last minute SEAT SALES. We only send out group emails when we have something exciting to say.